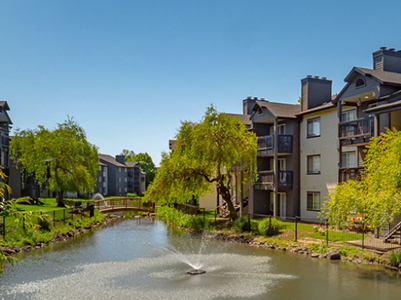 HFO Investment Real Estate (HFO) has sold the 390-unit Green Leaf Monterey Apartments in Happy Valley for $76 million. HFO’s institutional team represented the seller, Green Leaf Partners of California, and located a California buyer for the property: MG Properties Group of San Diego. “This property has been continually upgraded over the past few years, which has significantly increased its value. Green Leaf Monterey offers an investor a critical mass of units that can benefit from a program of continual improvements and enhancements,” said HFO partner Cody Hagerman. Located in Happy Valley within walking distance of the 1.5 million square foot Clackamas Town Center, Green Leaf Monterey is a gated community offering resort-style amenities in a quiet, garden atmosphere. Its 11.8-acre site includes a central greenway of ponds and waterways spanned by arched pedestrian bridges. The community’s other amenities include a fitness center, clubhouse, year-round partially covered pool and covered parking. The sale was represented by HFO partners Tyler Johnson, Cody Hagerman, Greg Frick and Rob Marton and closed at a price per unit of $194,871 or more than $147 per square foot.